I’ve had The Wish Granter, the second book in the Ravenspire series by C.J. Redwine, on my TBR for longer than I care to admit. With the third book in the series coming out this month, I figured that it was the perfect time to binge read both books, and having just finished the book, I’m kicking myself for not having read it sooner!! When I started reading The Wish Granter, I was pleasantly surprised to discover that though this was the second book in the series, it’s also a standalone as well. The first book, The Shadow Queen, had been a Snow White retelling, and while I knew The Wish Granter had different characters, I assumed we’d see the characters from the first book around as well. We didn’t. This is a completely different set of characters and a completely different story as well, so that was interesting! The Wish Granter is a Rumpelstiltskin retelling, and I was super excited to learn that, as I am raking my brain and can’t remember reading any retellings of this story as of yet. Actually, other than just the basic knowledge of the original story, and what little I’ve seen on the TV Show Once Upon a Time, I know very little of his story. It was definitely interesting, even though Rumpelstiltskin is quite the cruel man. This story had a lot of interesting characters, including Rumpelstiltskin himself, who, as I mentioned, was very evil, but very well written as well. A very sneaky, evil little man, and while I had no love for him at all, the author did a great job of making him an cruel villain. The storyline for the book was really interesting, and held my attention throughout. 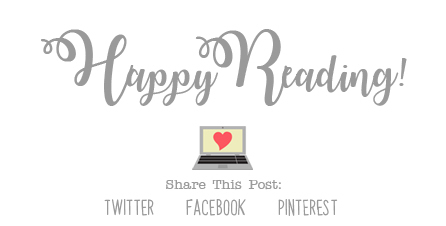 Some parts were hard to read, mostly the things that happened at the hands of Rumpelstiltskin, but otherwise I was pretty engrossed in the story. I’m super excited to move on to the next book in the series now. Overall; I really enjoyed reading The Wish Granter, and now having finally read the book, I wish I hadn’t waited so long to do so. Lucky for me I have the third book in the series, The Traitor Prince, sitting on my shelf, and I can’t wait to get started on it. 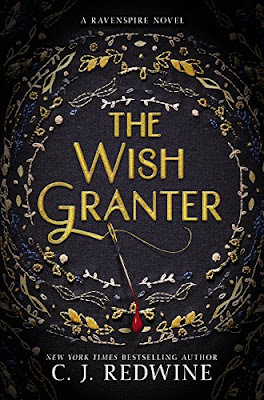 If you’re a fan of fairytale retellings, and want to read a good story about Rumpelstiltskin, do check out The Wish Granter! (And if you haven’t already checked out the first book in the series, The Shadow Queen, do check it out as well!